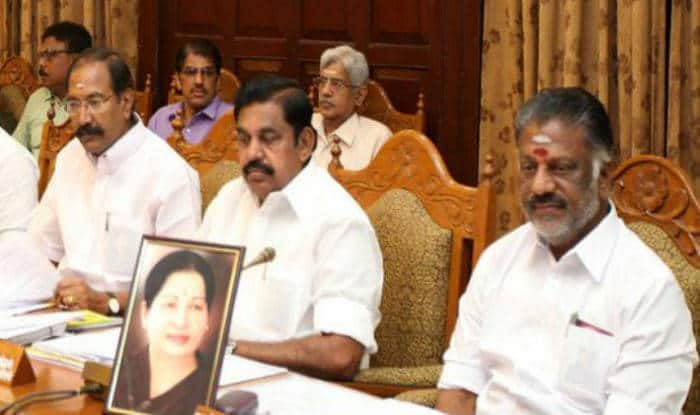 AIADMK's coordinator O Panneerselvam and joint coordinator K Palaniswami, who is also the Tamil Nadu Chief Minister said the application forms will be available from February 4 to February 10. New Delhi: The All India Anna Dravida Munnetra Kazhagam (AIADMK) on Wednesday invited applications from prospective candidates for the upcoming Lok Sabha Elections in Tamil Nadu and Puducherry and said they would have to pay Rs 25,000 as application fee. AIADMK’s coordinator O Panneerselvam and joint coordinator K Palaniswami, who is also the Tamil Nadu Chief Minister said the application forms will be available from February 4 to February 10. While Tamil Nadu has 39 Lok Sabha seats, Puducherry has one. In the 2014 Lok Sabha Elections, the AIADMK had won 37 of the 39 seats. Meanwhile, the AIADMK has put to rest alliances with the Bharatiya Janata Party (BJP) in the upcoming polls. After Prime Minister Narendra Modi hinted that BJP was open to pre-poll alliances in Tamil Nadu, the AIADMK said that it would rather strengthen its own cadre for the forthcoming challenge of Lok Sabha elections than have a truck with the saffron party. Two weeks back, at an interaction with the BJP’s booth-level workers, PM Modi had said that his party was open to alliances and cherished its old friends. Addressing workers through video-conferencing, PM Modi recalled the “successful coalition politics” ushered in by party stalwart late Atal Bihari Vajpayee in the 1990s and said that the BJP’s doors were “always open”.